For the past twenty years Larry Minear has worked as a researcher on international and internal armed conflicts, interviewing aid workers, soldiers, and local populations in Africa, the Balkans, the Middle East, Latin America and the Caribbean. 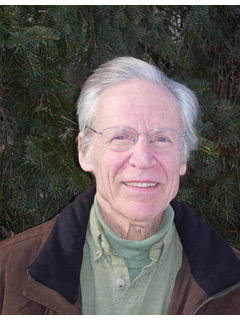 Director of the Humanitarianism and War Project at Brown and then at Tufts universities, he is the author, co-author, or editor of several dozen research monographs and fourteen books, including (with Ian Smillie) The Charity of Nations: Humanitarian Action in a Calculating World. He retired in 2006 and resides in Orleans, Massachusetts. The Charity of Nations: Humanitarian Action in a Calculating World (with Ian Smillie). Bloomfield, CT.: Kumarian Press, 2004. The Humanitarian Enterprise: Dilemmas and Discoveries, by Larry Minear. Bloomfield, CT.: Kumarian Press, 2002. Political Gain and Civilian Pain: The Humanitarian Impact of Economic Sanctions, edited by Thomas G. Weiss, David Cortright, George Lopez, and Larry Minear. Lanham, MD: Rowman & Littlefield, 1997. Soldiers to the Rescue: Humanitarian Lessons from Rwanda, by Larry Minear and Philippe Guillot. Paris: Organisation for Economic Co-operation and Development, 1996. (Also in French). Helping People in an Age of Conflict: Toward a New Professsionalism in U.S. Voluntary Humanitarian Assistance, by Larry Minear. New York and Washington: InterAction, 1988. “The U.S. Citizen-Soldier and the Global War on Terror: The National Guard Experience.” Feinstein International Center, Tufts University: Sept. 2007. Mapping the Security Environment: Understanding the Perceptions of Local Communities, Peace Support Operations, and Assistance Agencies, (with Antonio Donini, Ian Smillie, Ted van Baarda, and A.C. Welch), Medford: Feinstein International Famine Center, 2005. Ambiguity and Change: Humanitarian NGOs Prepare for the Future,” (with Peter Walker and others), Medford: Feinstein International Famine Center, 2004. Foreword, Christopher Ankersen, ed. Civil military cooperation in post-conflict operations. London: Routledge, 2007. “Between Cooptation and Irrelevance: Humanitarian Action After Iraq,” with Antonio Donini, and Peter Walker. Journal of Refugee Studies Vol. 17, No. 3, Oxford University Press, 2004. “Mapping the Implications of Iraq and Other Recent Crises,” by Antonio Donini, Larry Minear and Peter Walker. Disasters, Vol. 28, No. 2, 2004, pp. 190-204.